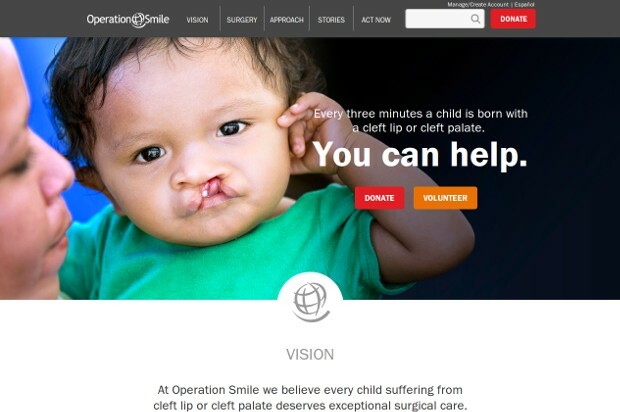 Operation Smile is an international children’s medical charity that heals children’s smiles, forever changing their lives. They are a mobilized force of medical professionals who provide safe, effective reconstructive surgery and related medical care for children born with facial deformities such as cleft lip and cleft palate. Indeed, every three minutes a child is born with a cleft. One in 10 of those children will die before their first birthday. The children who survive are often unable to eat, speak, socialize or smile. In some places, they are shunned and rejected. And in too many cases, their parents can’t afford to give them the surgeries they need to live a productive life. Nevertheless, every child deserves access to safe, quality surgical care. That’s where they come in as the largest volunteer-based medical charity providing free cleft surgeries. Since 1982, Operation Smile — through the help of dedicated medical volunteers — has provided more than 3.5 million comprehensive patient evaluations and over 200.000 free surgeries for children and young adults born with facial deformities. One of the most prominent charities for children in the world, they work in over 60 countries to heal children’s smiles.